On special occasions, we’ve been known to fire up the grill to have a nice steak dinner at home. 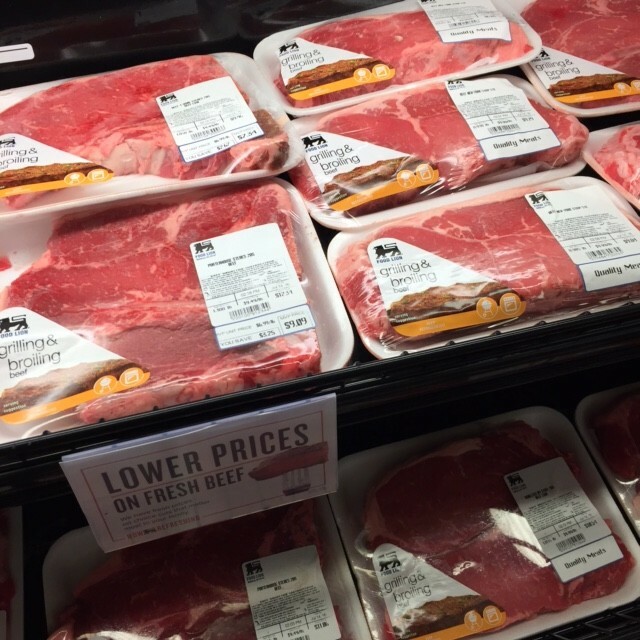 Right now Food Lion is making dinner easy with a deal on steak and Knorr sides. 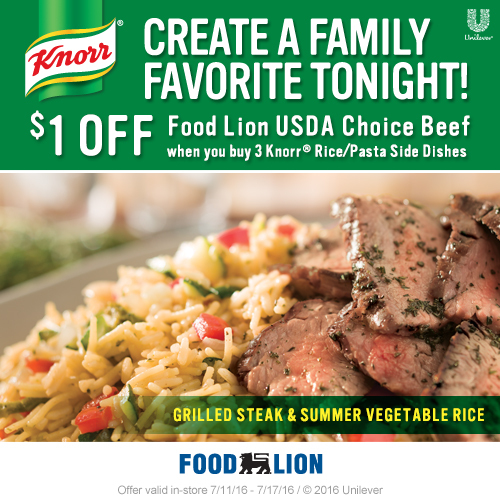 Get a coupon for $1 off Food Lion USDA Choice Beef when you buy 3 Knorr rice/pasta side dishes through 7/17/16. 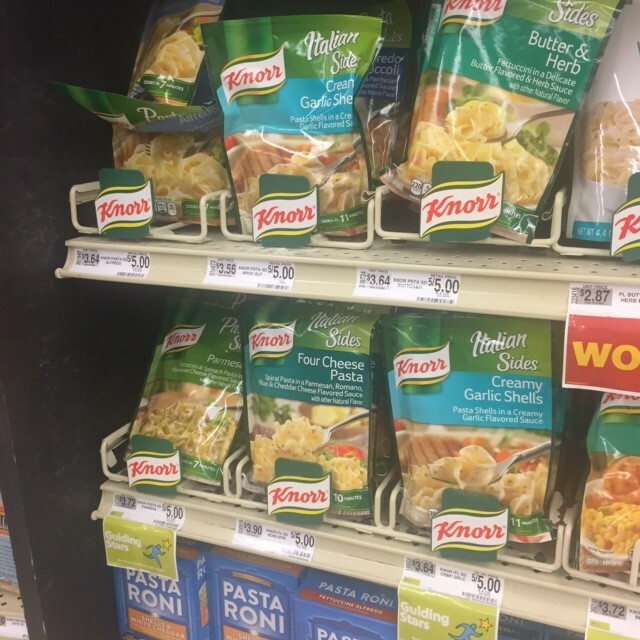 You can find the $1 off coupon on the coupons tab that you can load directly to your Food Lion card.. Knorr sides are great if you’re in a dinner rut. They’re more than just a side, they’re a good foundation for simple and flavorful meals. In only 15 minutes of prep time, you can have the perfect summer meal of grilled steak and summer vegetable rice. 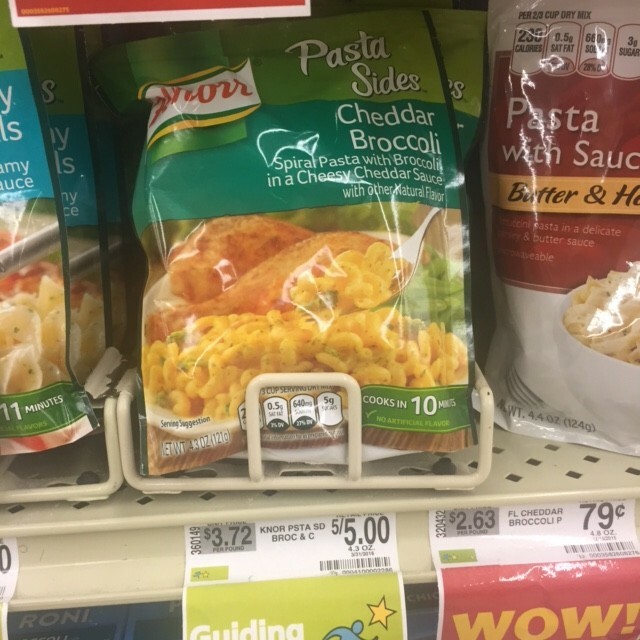 I stopped by our local Food Lion and found lots of options for summer meals. It won’t be hard to find 3 tasty sides to get the $1 off coupon. Treat yourself and your family to a delicious and easy summer dinner with this recipe for summer vegetable rice & grilled steak. 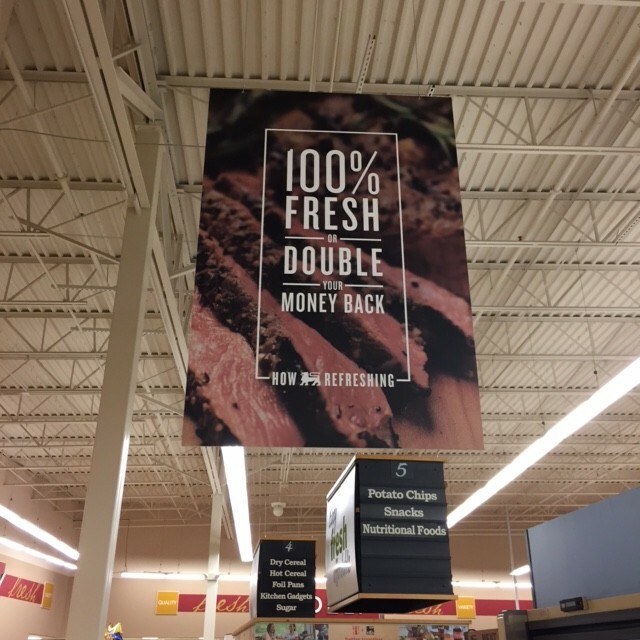 What I love most about buying meat at Food Lion is their freshness guarantee: 100% fresh or double your money back. You can’t beat that!